﻿ Best Price on Casa Santa Rosa Hotel Boutique in Antigua Guatemala + Reviews! Featuring a large, tranquil garden, this Antigua Guatemala boutique hotel offers free WiFi to its guests. A complimentary a la carte breakfast is served each morning. 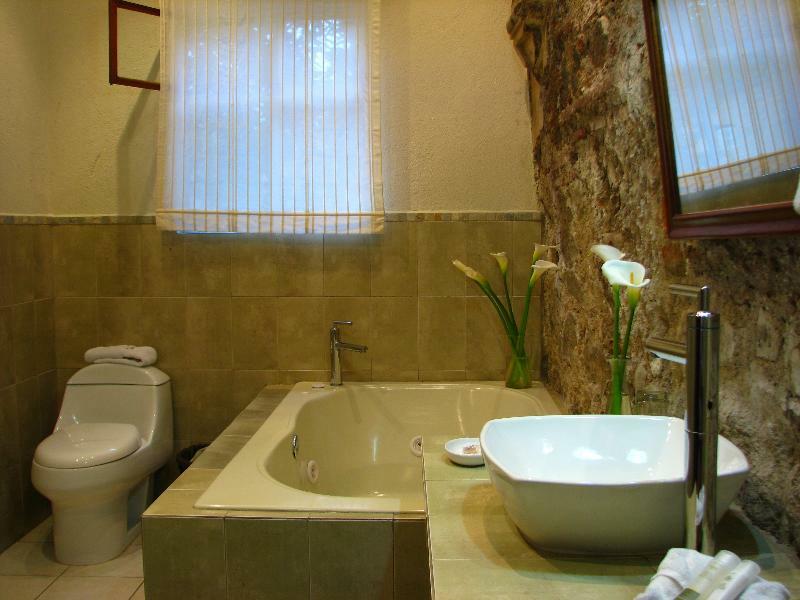 A cable TV is provided in every room at Casa Santa Rosa Hotel Boutique. All rooms featuring a fireplace and a sofa, while some rooms also offer garden views. Private bathrooms come with free toiletries, while a hairdryer is available on request. Concierge services are offered to guests of Casa Santa Rosa Hotel Boutique, which also provides luggage storage and on-site parking. An airport shuttle is available at a surcharge. Central Park is just 10 minutes’ walk from the hotel. La Aurora International Airport is 40 minutes’ drive.